The peep-toe slingbacks ($98) are surprisingly comfortable. I'm pregnant and doomed to wear slip-ons for bad, bloated, 200 lb. gorilla days, yet I enjoy putting these on in the office and walking around tall once again. Others were at first a little scared of the chunky heel (they are the chunkiest heel in the collection), but for me it was like communing with wise old chunky heels of yore: soulmates reunited. Sure, we make a little noise together, but it's just that solid wooden heel letting everyone know I'm coming through the kitchen. The flats ($78) were picked immediately by Lindsey. Some in the office did not like the open, strappy back, but Lindsey and I were smitten. It's a nice design twist for a round-toe flat. Lindsey wore them all weekend, loved them, then admitted that the back rubbed a bit during her test run. But the flats are brand-new, and Lindsey was the first to break them in. I'm betting for the long haul they'll behave beautifully. These quality leather shoes are typical Fossil: classic details with modern twists, well-made, and not priced sky-high. View the entire Fossil shoe collection here (men's too, love these), and be sure to look for them in the 34th Street store at Herald Square on August 10th. I'll finish with a little look at my favorite boots from the site, which is almost all the boots in the collection. 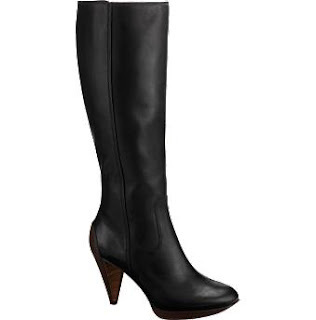 Great for city wear ($225, $138, $198). Ready for the upcoming boot shopping season? I got the email on this and was instantly enamored. They remind me of Frye's shoes. Ambika's right, there is a Frye element to them. What an ADORABLE expectant mama you are. Oh, and those are great shoes. 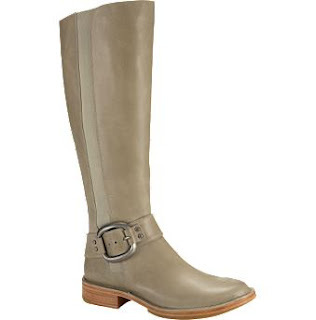 ambika/wendy - they are a lot like fryes, without the frye price! Erin - thanks! and oh noes! ah, well, I'm in my 40's so I should just be thankful for all those cellulite-free years! Sal - you can get them online now, and in select stores August 10. I was thinking you would love the green ones on the website! So cute. Love the heel on the sling backs. Very cute and solid. I like solid. Wow Fossil is into shoes now.... You totally got me into using faux lashes after using the 2 pairs you sent you. thank you! 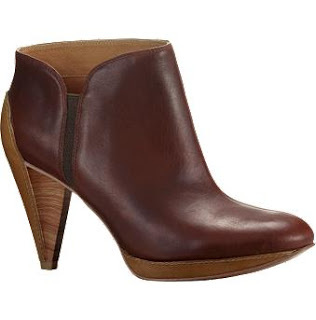 I love those brown booties with the pointed heel! I like those chunky heels! They look comfy to me too!